Inmates serving time at the Penobscot County Jail are now more likely to get out at 6:30 a.m. instead of midnight after the sheriff changed the policy last month. The change came after a former inmate criticized Penobscot County officials for allowing inmates to be released in the middle of the night when the buses aren’t running and homeless shelters have closed. “I [once] heard two or three staff members laughing because they were releasing a kid who had to walk to Lincoln, or at least he said he needed to walk to Lincoln,” Doug Dunbar of Hermon said. The matter sheds light on an unsettled question in Maine: What time is best to release people from a county jail? Most facilities have restrictive rules, according to a review by the Bangor Daily News, only letting sentenced inmates leave at midnight if they have transportation or the weather isn’t dangerous. The policies typically apply to inmates serving sentences ordered by the court in days, as opposed to hours, since the stroke of midnight marks the official end of their time served. 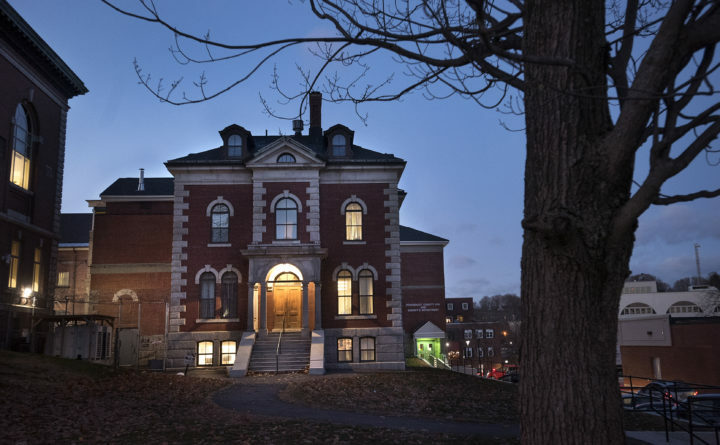 “We just don’t want to be releasing people into Augusta at midnight,” said Kennebec County Jail Administrator Rich Wurpel, whose jail lets people out at 6 a.m. “There’s no hard and fast rule,” he said, but the jail doesn’t want people “to just walk” if they don’t have a ride. In Knox County, where sentenced inmates typically leave around 8 a.m., the jails honors requests to leave at midnight. They just aren’t common. Franklin and Aroostook counties don’t release inmates at midnight out of concern for inmate safety. Going forward in Penobscot County, inmates serving sentences for more than seven days will now be released at 6:30 a.m, unless they request to leave at midnight, said Sheriff Troy Morton. “We flipped the options to go reverse, to say the default would be 6:30 [a.m.] instead of midnight, and still have the option [to be released at midnight],” Morton said, noting that inmates have always had the option to stay until the morning if they wanted. The policy switch represents a good balance, he said, protecting inmates’ safety without infringing on their right to freedom. The Penobscot County Jail is located in downtown Bangor, where most of the county’s services are located but have closed at night. “Why would you release these people with no services?” said Bruce Noddin, who runs the Maine Prisoner Re-entry Network, a group of local providers and organizations developing prisoner re-entry programs. Morton had asked the network to consider changes to Penobscot County Jail’s previous policy in December, before he updated the rules. The group hadn’t yet put forward its guidance when the sheriff revised the policy. Some people would rather get out of jail as soon as they can. “People who support the termination of midnight release either … haven’t been to jail, especially at PCJ, or don’t really understand what is taken from an individual when they’re in jail in terms of rights,” said Marion Anderson, who has served multiple sentences in Maine prisons and jails, including Penobscot County and had planned to provide input on the policy as a member of the re-entry network. For Jeannie Chapman, her addiction to drugs was going to be an obstacle no matter when she left the Penobscot County Jail — which she did at the stroke of midnight on Jan. 1, 2017 — but it didn’t help her recovery. The jail’s heavy door buzzed three times as it unlocked, and she stepped into the snow wearing the light sweatshirt she’d been arrested in about two months before. Since her arrest for intentionally hitting someone with her car in downtown Bangor, Chapman had been evicted from her home and lost most of her belongings. When she got out of jail, she called a woman who also used drugs. They went straight to a New Year’s Eve party, and Chapman, 39, was using drugs within hours of leaving jail. She was arrested again the following October after she overdosed, since using drugs violated her probation. She’s been sober since then, she said, in part because she had the chance to participate in the Penobscot County drug court program. Sobriety has made her wonder if she would have made a better decision that night if she had stepped into freedom when the sun was up. Unlike Anderson, she doesn’t think people should be allowed to leave the jail at midnight. Maybe, she said, she would have gone to a coffee shop instead of the party. Maine Focus is a journalism and community-engagement initiative at the Bangor Daily News. Questions? Write to mainefocus@bangordailynews.com. Correction: A previous version of this story misidentified Kennebec County Jail Administrator Rich Wurpel.